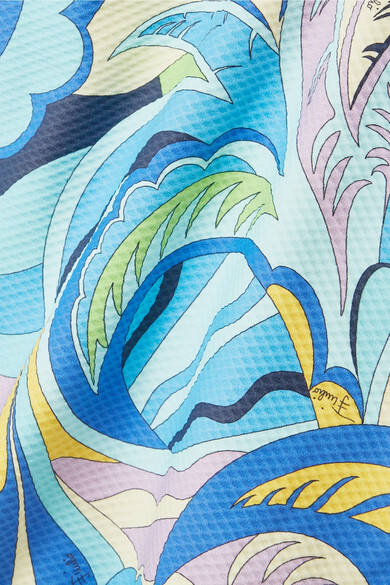 Emilio Pucci's signature bold prints are the perfect complement to tropical vacations - just imagine how the serene swirls on this swimsuit will look against the lush greenery of Tulum or sparkling waters of the Mediterranean. Made from textured stretch fabric, it has a plunging neckline mirrored by a low-cut back. Stow it in the matching pouch when traveling back home.